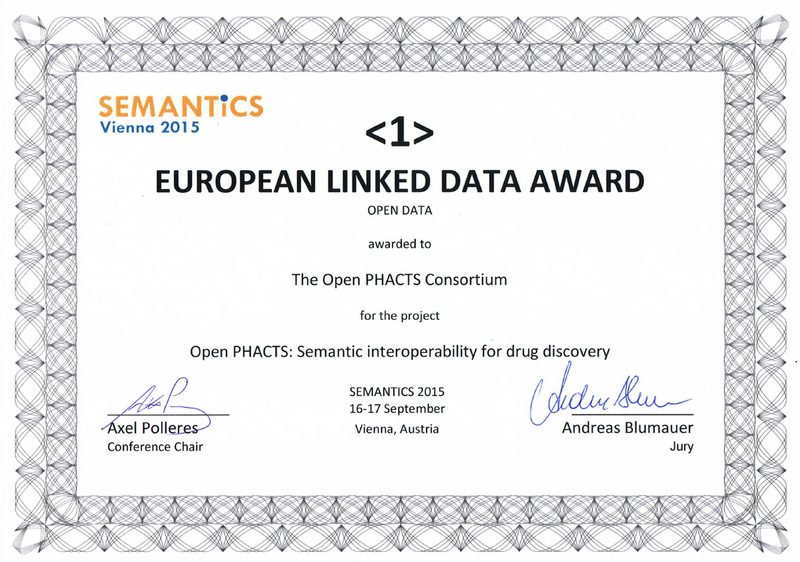 Open PHACTS has been awarded first place in the Linked Open Data Award of the inaugural European Linked Data Contest (ELDC). The ELDC has been established to recognise Europe’s crème de la crème of linked data and semantic web. Prizes are awarded to stories, products, projects or persons presenting novel and innovative projects, products and industry implementations involving linked data.